'Content Restorer' is a tool that allows you to recover lost websites with ease. 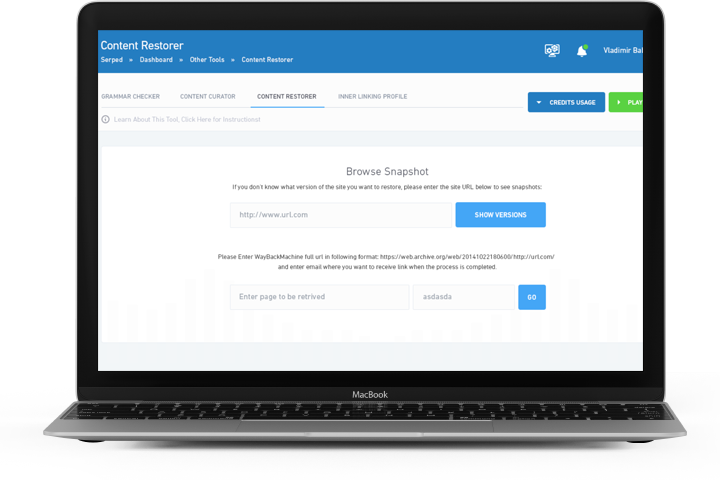 Imagine you lost all the content of a website, or would like to restore the content of an expired domain you acquired... Well, there is a way to restore everything, in just a few clicks! 'Content Restorer' digs into the archive of the Internet, downloads all the files it can find and send them to you in the form of a ZIP file. Then, all you need to do is upload the ZIP file, unzip it and... That's it!